This post is in partnership with T-fal. Mother’s Day is here! It’s time to share our picks for the best T-Fal Actifry air fryers for Mother’s Day gifts! As a Mom myself, I know that the trick to getting a gift Mom loves is to find something that she’s already passionate about. I love to cook, and I’m always thrilled when I get a new, cool kitchen appliance that I’ve had my eye on for a while. So for moms that love to cook, Mother’s Day is a breeze! Just ensure that whatever you get her is good quality, useful, and beautiful, like our picks below, and you’re set! We’ve chosen from our very favourite cookware and kitchen appliances at T-fal that are a perfect cross of function, style and affordability. Here they are – our top picks for kitchen appliances and cookware that Mom will love! Our top picks are the highly rated new low-oil fryers from T-fal ActiFry. This is a gift that Mom will love for sure. 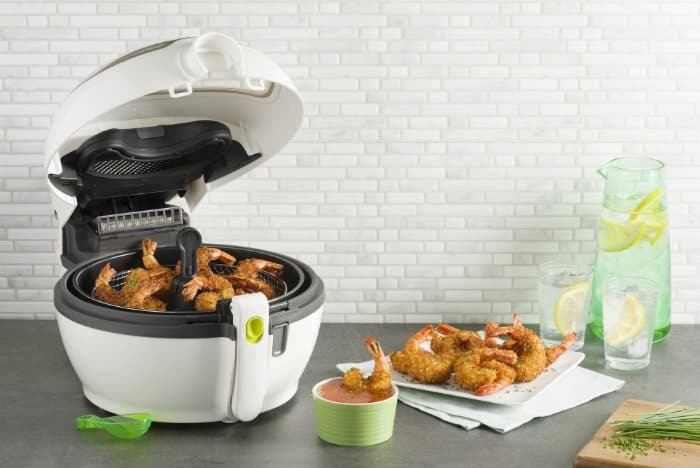 The ActiFry low-oil fryers make fried food with just the tiniest amount of oil, and the end result is food that’s both delicious and healthier! Check out our tasty low fat Actifry french fries recipe and our delicious T-fal Actifry air fryer pickles! The ActiFry Vista is Canada’s number one low-oil fryer, and is our pick for the best Tefal Actifry. 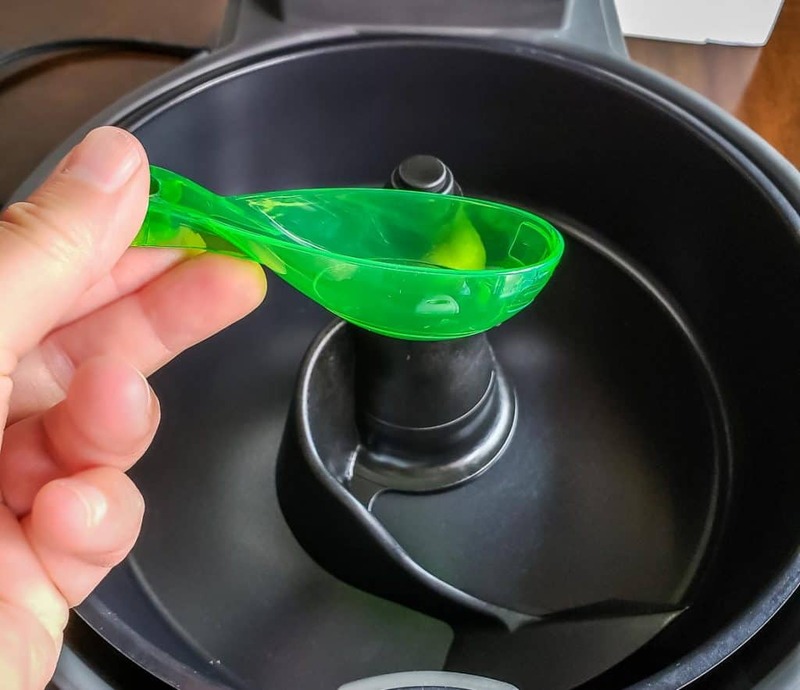 It packs away neatly, is a breeze to clean, and it’s perfect for creating healthier fried food that’s packed with flavor. The ActiFry creates its crispy flavor magic with T-fal’s exclusive Dual Motion Technology, which combines hot air with an automatic stirring paddle to evenly cook food. The end result is delicious! Buy it now at Canadian Tire. The ActiFry Express is similar to the ActiFry Vista, but it’s a tiny bit bigger. The Express only uses one spoon of oil to create crispy, delicious food with less fat. Like the ActiFry Vista, the ActiFry Express uses T-fal’s Dual Motion Technology, plus there’s no need to preheat, mix or shake your meals. Coupled with a steam free viewing window and a set and forget digital timer, the Vista makes cooking time a breeze for Mom. Pretty soon, she’ll be creating quick, healthy and delicious treats for her and the whole family! Buy it at Canadian Tire! Which is the best actifry? It really depends on your needs. Since we’re a family of four, the Actifry Express would make sense for us. If you’re a single person, or couple, you may want the smaller Actifry Vista. Even the Vista is a pretty good size, so save room in your cupboard! Each lid is made of tempered glass, which is great for peeking in at what’s cooking. Mom will love T-fal’s patented Thermo-Spot technology to let her know when her pots and pans have reached optimal cooking temperature. I’d never go back to solid metal lids again! Want to find even more great T-fal products for Mother’s Day? Just head on over to the T-fal Canada website to see what’s on offer. Stay tuned for recipes using the ActiFry in the coming weeks and learn more at www.t-fal.ca/actifry. My mouth is watering already!